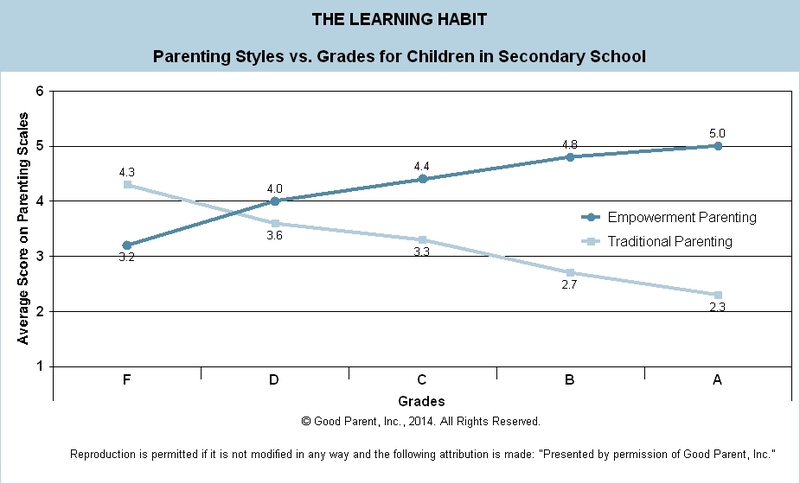 Parenting Styles vs. Grades - Good Parent Inc. 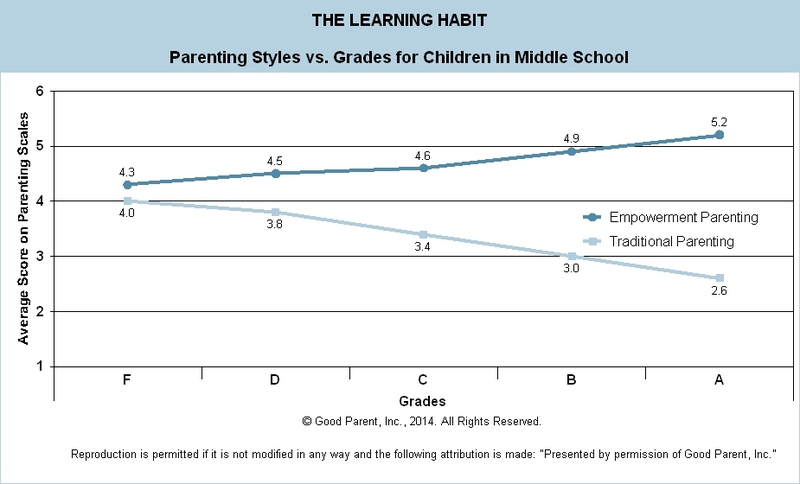 In the Learning Habit Study, we examined Parenting Styles and Emotional Problems. Parenting Styles were broken down into two categories. Traditional Parenting places emphasis on correcting or punishing unwanted behavior. It was also characterized by reduced communication between parents and with the child. Empowerment Parenting included a productive flow of communication among parents as well as with the child and a measure of confidence in the child’s capacity to make appropriate choices. 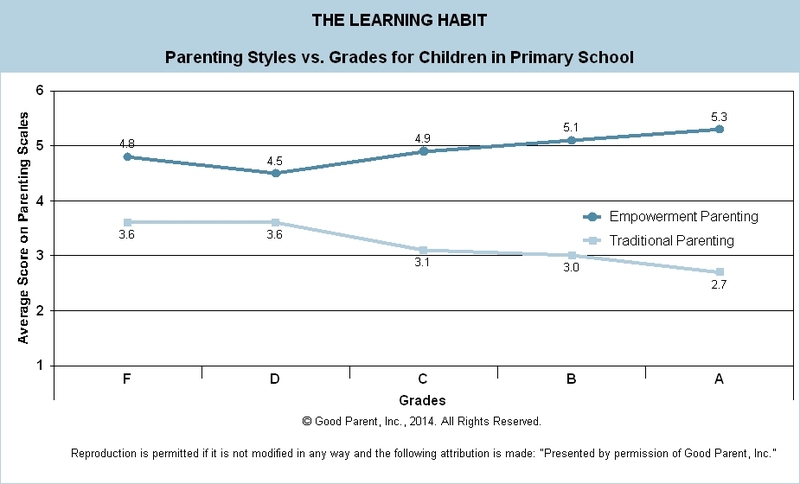 These Parenting Styles were compared against the child’s grades. Across all grade levels, parents who indicated high rates of Traditional Parenting techniques had children with lower Grades. Conversely, parents who indicated high Empowerment Parenting techniques had children with higher Grades. Traditional Parenting is often punitive with little communication or explanation for rules of boundaries, yet expectations are often high. This places a child in a cycle of feeling they are unable to please or achieve. Alternatively, Empowerment Parenting styles encourage spending more time with children in meaningful family interactions while promoting positive reinforcement will help to foster better environments for learning and ultimately more academically successful children.